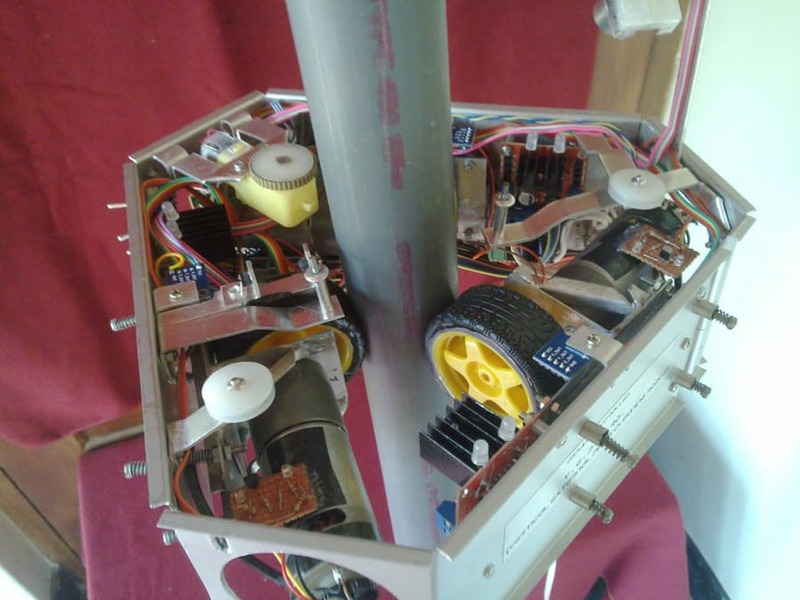 With this project from Pramod you can build your own climbing robot which is designed to scale street lights or flag poles. The robot can be used either as a cleaning robot or as a surveillance tool once a camera has been attached. This project is a great way to learn about using motors with Arduino. To get started checkout the following link. When you use motors in your Arduino project you will almost certainly need a H-Bridge motor driver. A H-Bridge allows you to easily control the direction of your motors from within your code. The freetronics Dual Channel H-Bridge Motor Driver Shield is a perfect solution to this problem, allowing you to drive two DC motors or a stepper motor. To find out more check out the Dual Channel H-Bridge Motor Driver Shield page. Previous post: Teach Your Arduino to Switch Itself Off!